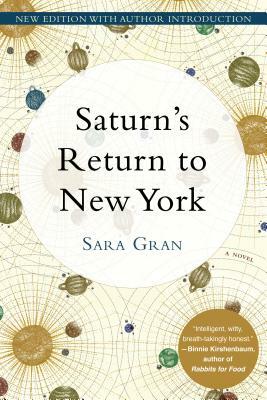 Sara Gran is the author of the novels Saturn’s Return to New York, Come Closer, Dope, and the Claire DeWitt detective series. Her work has been published in over a dozen countries and in nearly twice as many magazines, newspapers, and literary journals. Born and raised in Brooklyn, Sara now lives in California. "Perfectly suited to the present . . . Gran is expert at social comedy, and at making rooms come alive." "How refreshing to encounter a twenty-something female narrator who is intelligent, witty, breath-takingly honest and in pursuit of neither money nor marriage. Rather, Sara Gran's Mary is seeking to come to terms with loss and missed connections. A very funny novel, but ultimately a poignant one." "Sophisticated, eclectic, witty and poignant." "Gran's first offers sly humor while incorporating some emotional heft . . . A must for nostalgic Manhattanites." "A smart and discerning story."